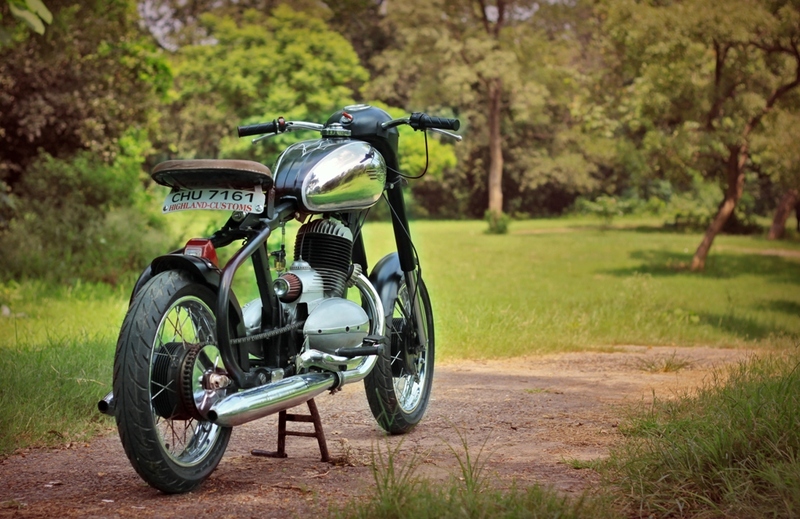 “It was a discovery in itself, while I went to deliver a 1200 Nightster to a customer who had just bought a Harley for himself I saw this Jawa lying there. Two minutes later after a discussion we had a deal and the bike was mine. The vision I had for it was clear, making a high revving, light and nimble city bike that could surprise many with its performance. The inspiration was the 1920 style Bonneville bikes with the Triumphs being run on the old British style hard tails. 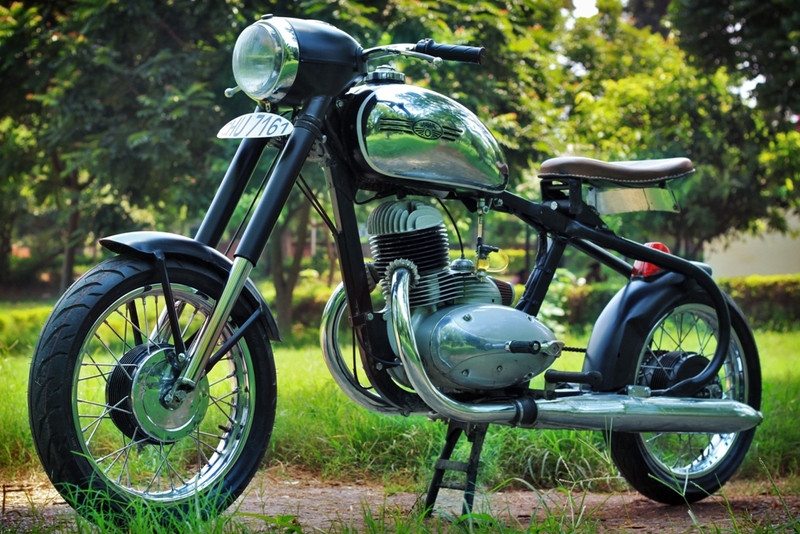 The bike has been restored to carry the same identity as Jawa but also wanted it to be performance oriented. The seat was handcrafted keeping in mind the light character and the seating is not the world most comfiest but facilitates the speed of the bike as the rider sits on in a crouch position, hence the linear motion of the bike points forwards. The pin striping has been well taken care of as well, the white enamel pinstripe is the same as you get on Softail Heritage Classic as the paint and the brush is same. Pin stripping is a dying art some how the technology and the vinyls have taken over world because it is much easier to paste than paint. 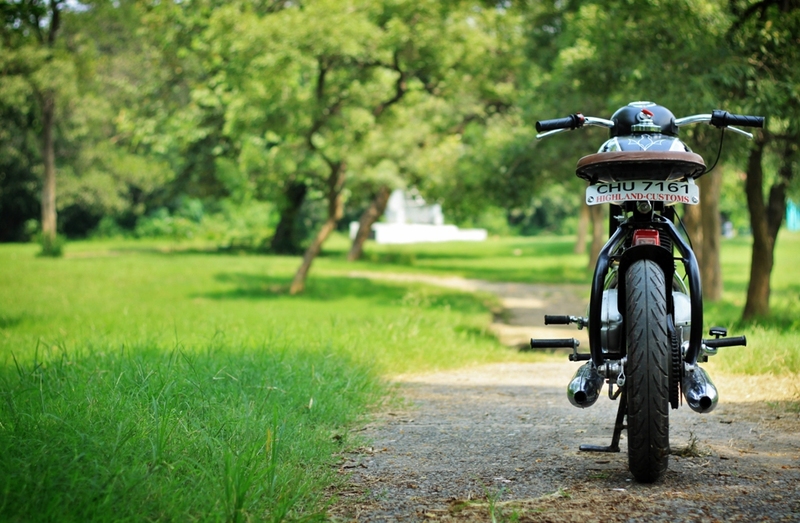 And Umang being a big proponent of pin stripping wanted the bike to have some of his hand drawn work. There might be over 37 million motorbikes in India but when it comes to a Jawa racer being built by the ‘Highlander’… there can be only one.